Chipotle is adding a menu item in all its U.S. restaurants starting Tuesday: chorizo. The company test-marketed the spicy sausage in Manhattan, San Diego and other markets in June, and it seems to have been a hit. Chipotle said its chorizo will be made with "responsibly raised" chicken and pork and flavored with paprika, toasted cumin and chipotle peppers. 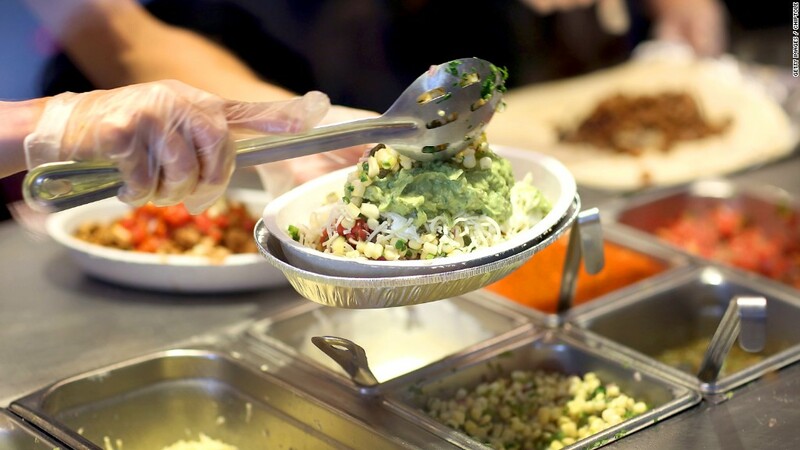 Chipotle (CMG) has been working to woo back customers after outbreaks of E. coli, salmonella and norovirus late last year. Related: Will Chipotle ever recover from E. coli woes? Same-store sales this spring dropped by almost a quarter compared with the year before, and revenue dropped by almost 17%. Customer satisfaction also dropped 6% last year, according to one report. The company introduced a summer loyalty program that ended last week. It also offered a kids-eat-free promo on Sundays in September.